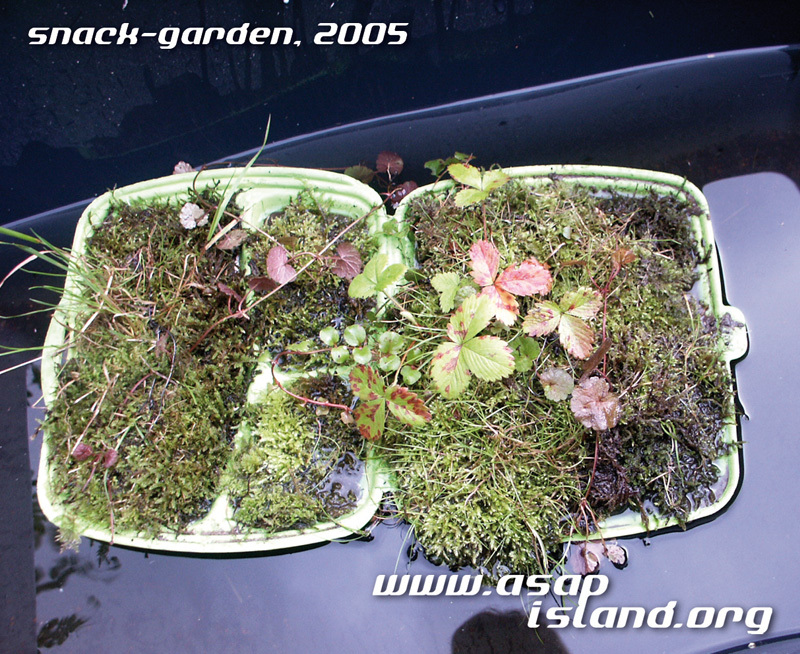 Let´s build an i-land together – now we´ll take it serious. 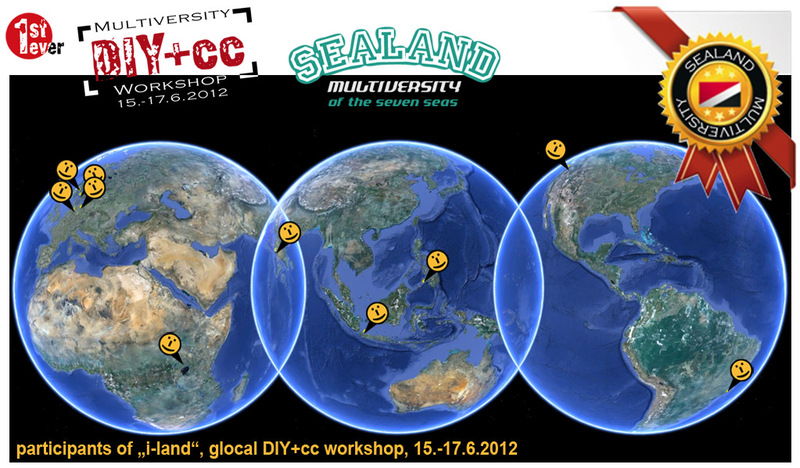 No matter, where you live, you can easily attend this workshop at your hometown. 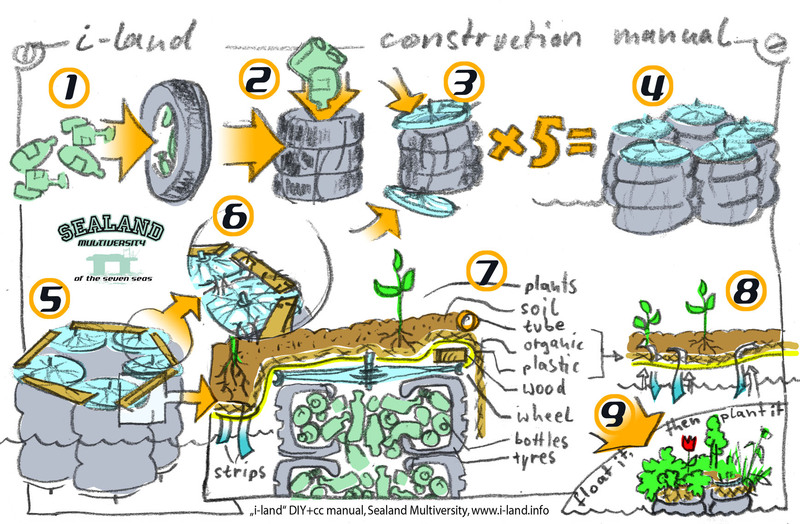 With this manual and our 15years of experience in building floating constructions, you can build a floating garden out of trash with your friends within 48 hours. Download this pdf, which contains a written description, list of parts and sample pictures of our recent i-land test. 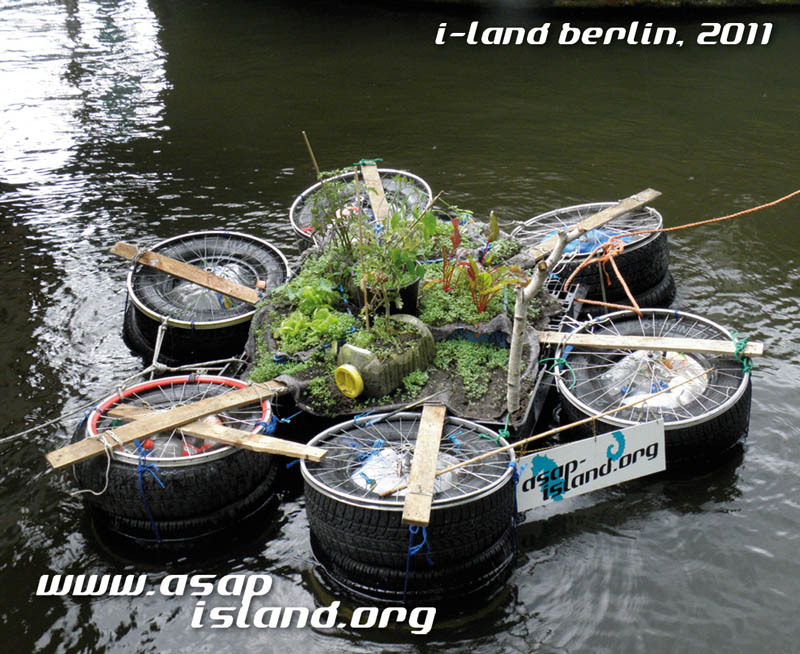 Then get the materials, a couple of friends and build your local i-land on the weekend from 15th to 17th of june, as all participants will build synchronically and will be connected online to help and inspire each other, to compare the results or to chat only. By september, a jury will select two winners, that get a real noble title as baron/baroness or lord/lady from the Principalty of SEALAND.